The Quirky Queer: No Plastics are Flushable! I've been wanting to talk about this for a while, and as ditching plastic (well, straws) is very much in fashion at the moment I thought I'd talk about something that I've been very passionate about for a while; people putting plastic down the toilet. I have a Father who is an oceanographer, someone who has also worked for water companies, so I hear first hand the damage that flushed plastics do not only to our sewerage system but to the environment and marine life too. 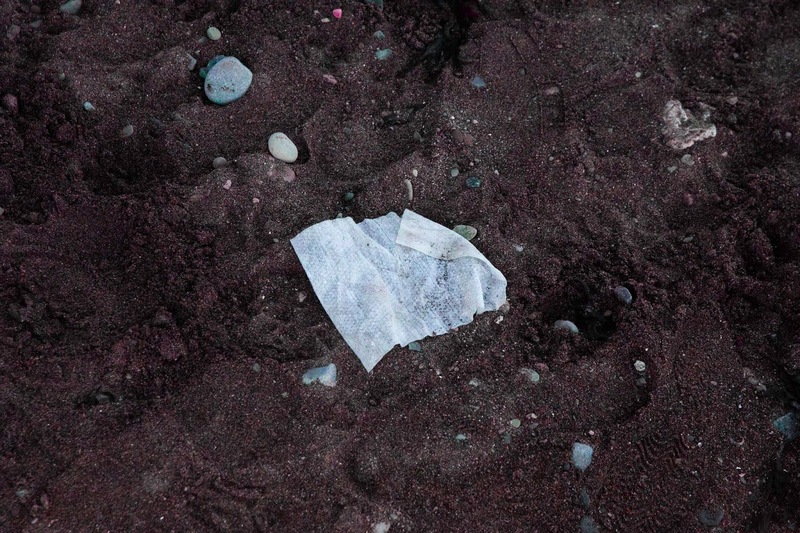 It may be new in the mainstream as to how much damage plastic does in teheocean but it's been well known for a while by experts that it ain't good for our waterways, man-made or not. So yes, this means ALL plastics. No you shouldn't put your tampon applicators down the toilet, no you shouldn't put your "flushable" wet wipes down the toilet, you shouldn't flush condoms, mo matter how much you don't want your parents to find them, and you definitely shouldn't put your plastic filled pads down the toilet either. Some of these products will say the words "flushable" on them, but all that means is that they won't clog your toilet when you flush them, they still help to clog up sewers and they still contribute to plastic pollution in our rivers and seas. Technically your pet hamster, or your toothbrush is flushable, because it will flush, but that doesn't mean you should flush either of those things. Trading standards are responsible for this word being allowed on your wetwipe packaging which most water companies and environmental groups really don't think it should be. So where does this plastic go when you flush it? And what problems can they cause on their way to our treatment works? Well I'll walk you through that story. There shouldn't be any problems here, unless you flush something too big things should go down your toilet just fine, and end up in your local sewerage system. Simple. Here is where that pesky plastic starts to cause problems. There are dedicated teams of people in London's sewers who go through them picking pieces of wet wipes off of bits of sewage system they get caught on to stop them causing problems. In other parts of the country there are people working with water companies who have to fish out wetwipe monstrosities and fatbergs as big as two tonnes! These end up clogging up the sewage system, causing problems, and ultimately help to add cost to your water bills. When there's a blockage it can also lead to raw sewage coming out into people's gardens, into the street, and the local environment which leads to pollution in the form of both the plastic causing the blockage and the raw sewage. Nasty. The first process at a waste water treatment plant is the screening process which removes any large particles from the waste water, such as plastics, rags, and any other large objects that somehow ended up down the drain. After this is goes through a number of processes to make sure that it is clean and safe before ends up back in the water cycle. So no problem right? Apart from blockages plastics can't end up in our environment from sewers right? Not quite. The big problem with pollution comes when it rains, if it rains too much and the sewers are too full, to avoid big flooding problems, raw sewage is let out into designated areas. Which is pretty gross in itself, but vital for making sure our sewers run smoothly. The big problem here is that any plastic put down the drain also ends up in the local environment. Near outflows along the Thames (which are used a lot, London sewers are not really fit for purpose anymore) teams of volunteers go and see exactly what has been let out of our sewerage system, overwhelmingly it's wetwipes. Along one patch of the thames over 4,500 wetwipes were found in 154 sq m area, with 277 in just One square meter area. A new sewer system is being built in an attempt to clean up the Thames, but this is going to be a long time coming. Unlike other plastics like bottles, wetwipes also sink to riverbeds and are completely changing the riverbed, which is definitely majorly effecting the Thames. With them in waterways it also leads the way to them contributing to the huge issues of plastic in out oceans. Though this plastic pollution isn't unique to wetwipes, they are the major contributor to thd problem. Either way, whatever you flush down your toilet can end up in waterways and in the sea, so think about that the next time you flush. So this is all very doom and gloom, but there is a really easy fix to all of this! The only thing you should flush down your toilet is toilet paper, and human waste. These all have plastics in them, and whether they say flushable on them or not, they are not biodegradable and they'll still block sewers and pollute water ways. Even if they say they're biodegradable, be dubious, as this label doesn't really mean much. There haven't been any extensive tests to be done to see how different biodegradable and "environmentally friendly" wipes degrade and act in the environment and so just to be safe always put them in the bin! Don't trust the packaging. And consider using reusable cloths instead of facial wipes to make your beauty regime more zero waste. A lot probably won't listen, but some will. 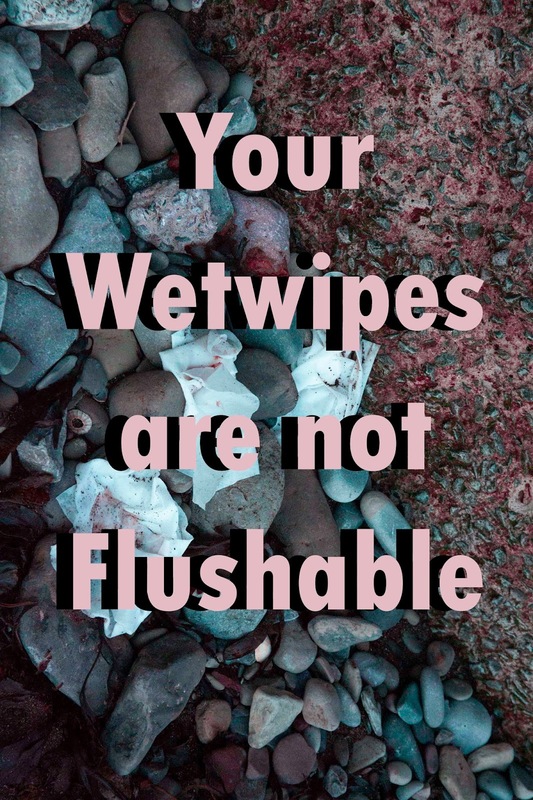 So if you see wetwipes containing plastic that have the words "flushable" on them, write an email, letter, or tweet to that company and ask them to stop using misleading information on their packaging, and change it to a "do not flush". Also your countries product labelling standards industry to get them to change their standards and clamp down on this sort of working being used on plastic containing products. Currently in the UK packacing standards to not comply with UK Water Industry stanards, and this needs to change, most people reading a package that says "flushable" will believe it, understadably, so to make a big difference we need to change this. Most people are not aware of just how much of a problem unflushables cause in sewers, waterways, on beaches, and in the sea. So simply spreading the word and telling people that they should bin their wipes, and giving people options for alternatives, can really help. Get involved with #cantflushthis, or with things like beach cleanups, in campaigns, and just generally let people know how they can help the environment. So there's my informative wet wipes rant, feat. other plastics. Please stop flushing them. Need more info? 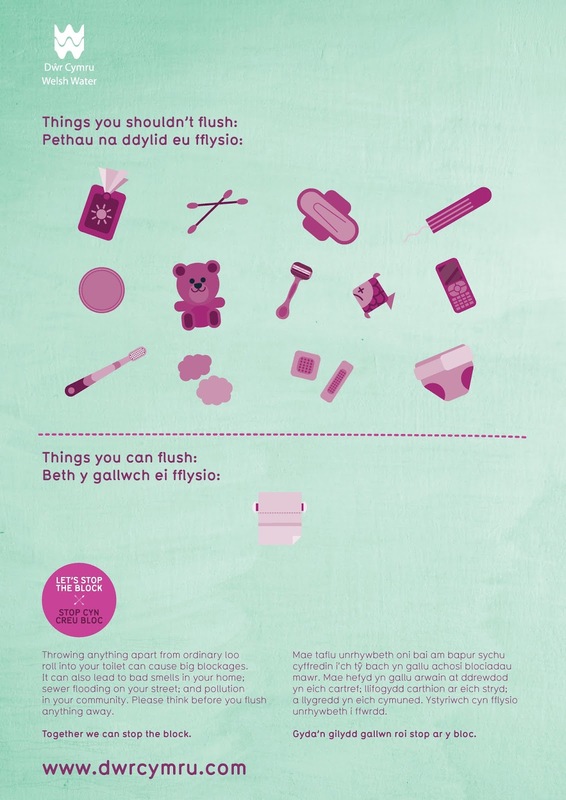 I got a lot of resources from Dwr Cymru ,Welsh Water and they have stop the block campaign which can give more detailed information, and the Marine Conservation Society have an FAQ all about wetwipes fomr their Wet Wipes Turn Nasty campaigning.